Katy here, and I am super excited to show you my romantic summer card! These beautiful stamps can be found at the Great Impressions Online Store! 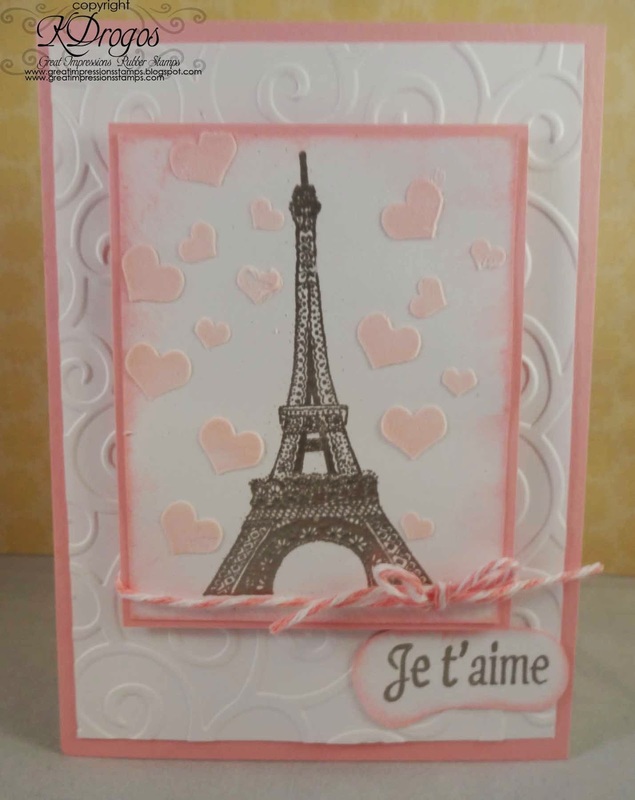 I just love this Eiffel Tower-don't you? I used an embossing powder on F515 Lg. Eiffel Tower and on the sentiment A137 Je t'aime. I used paste and a re-inker for the little hearts. It just feels like summer romance! Thank you for stopping by! Our new challenge starts on Sunday--so be sure to stop by! Also, we just added new pins to our Pinterest boards. Be sure to stop by there too!